At Willow Run Dental Association, we emphasize the importance of preventive dentistry at every opportunity to our patients. By undergoing comprehensive dental checkups and professional cleanings at regular intervals throughout each year, patients can avoid more severe dental problems that would develop without our intervention and also enjoy better whole-body health as well. We look forward to caring for you and your family for many years to come. You are always welcome to contact our Auburn, ME dental office location if you have any questions or you’re ready to schedule an appointment with our experienced dentists. We recommend that patients schedule at least one checkup and cleaning every six months on average, or two in a regular year. During these routine dental office visits, our team will provide a comprehensive approach, completing an exhaustive visual examination, full periodontal and restorative charts, dedicated screenings for the presence of TMJ disorder and teeth grinding, and a complete set of digital X-rays. Our goal is to form a complete picture of your current oral health so that we can construct a personalized treatment plan confidently. 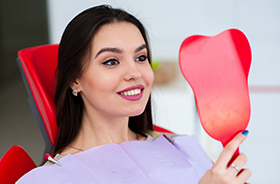 Additionally, our experienced hygienists will remove accumulations of plaque and tartar from the oral surfaces while also eliminating any minor staining from the enamel. 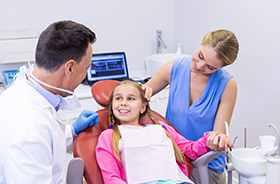 At Willow Run Dental Association, we are happy to simplify dental care for the entire family by caring for all ages in one convenient location. Our team will always take extra time with young patients to help them foster a positive relationship with oral healthcare from early on, providing gentle examinations, oral hygiene instructions, and plenty of fun education about their growing teeth. We want all of their appointments to go by smoothly and enjoyably for not only their sake, but the parents’ sakes as well. The premolars and molars are likely to contain deep pits and grooves along their chewing surfaces. These areas are prime targets for accumulations of food and bacteria over time, and what’s worse is that children often struggle to keep them clean because they’re located in the back of the mouth where brushing and flossing effectively is more difficult. Thankfully, dental sealants can provide an extra layer of protection to these vulnerable parts of a growing smile. This tough, plastic-based substance is directly applied to the enamel and can last for several years at a time. Countless patients in today’s world habitually experience bruxism, which is better known as “teeth grinding.” While chronic stress is a likely indicator of this bad habit, several factors can influence its development over time. Because it’s more likely to occur at night while patients are asleep and unaware, widespread oral damage and strain are also common without a clear cause. Here in Auburn, our dentists will screen for telltale signs of bruxism during routine examinations and recommend treatment as needed. 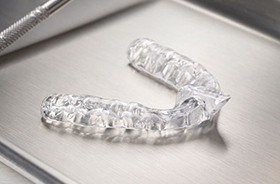 A custom-made oral appliance known as a nightguard can provide a sturdy barrier between the rows of teeth, minimizing damaging contact. Tens of thousands of new cases of oral cancer are diagnosed every single year, and one person is estimated to die every hour on average from this dangerous disease. Thankfully, there is a silver lining – if the cancer can be positively diagnosed at an early stage, chances are high that the patient can undergo a safe and successful recovery. At Willow Run Dental Association, we provide dedicated oral cancer screenings at every regular checkup for this very reason, closely examining the oral tissue for signs of abnormalities that need further attention. If anything concerning is located, we can help you take the next steps towards a proper biopsy and diagnosis right away. Fluoride is a natural mineral that has been positively linked to healthier, stronger teeth through countless decades of well-documented studies and research. While most patients receive enough exposure through drinking tap water, which contains a safe amount of fluoride, others may benefit from undergoing professional fluoride treatment here in Auburn as a part of dental checkups and cleanings. The application of the varnish will only require a few minutes of time, and it’s fine to eat and drink immediately after leaving our dental office. Our team members highly recommend this service for young children, in particular, to minimize their risk of cavities and help them develop stronger tooth enamel.